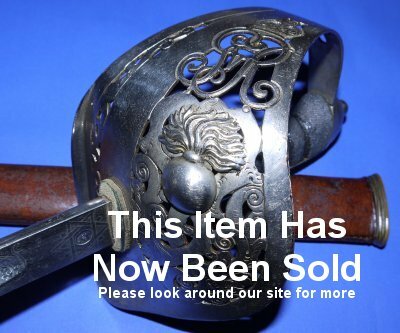 In good though aged condition, a rare WW1 Irish Fusiliers of Canada Sword, etched to Lieutenant T. B. Harston. 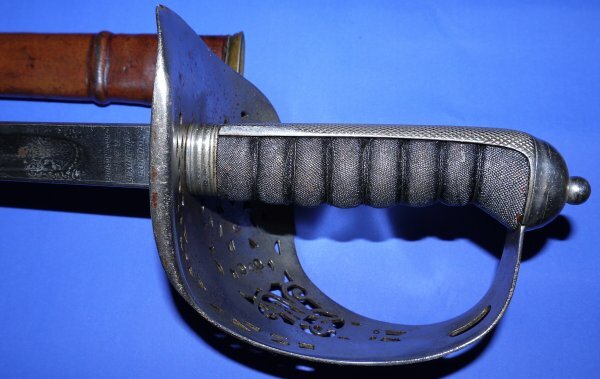 A rare sword with a flaming bomb to the hilt, as also used by the Northumberland Fusiliers. 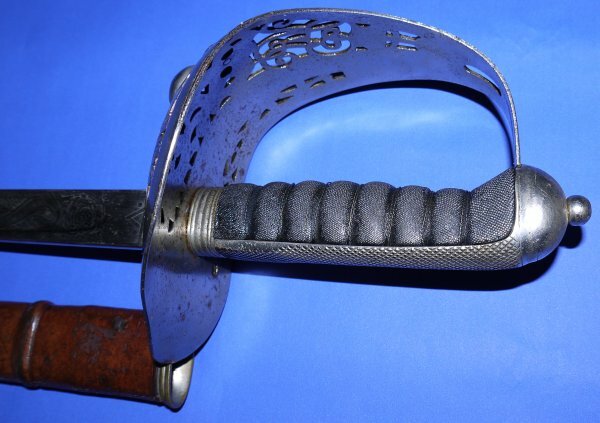 The blade etched to Lieutenant T. B. Harston and maker Hobson & Sons of London. The 32 1/2 inch blade has been replated but the etching can still be seen; it has some wobble / bending but not too much. Blade firm in hilt. 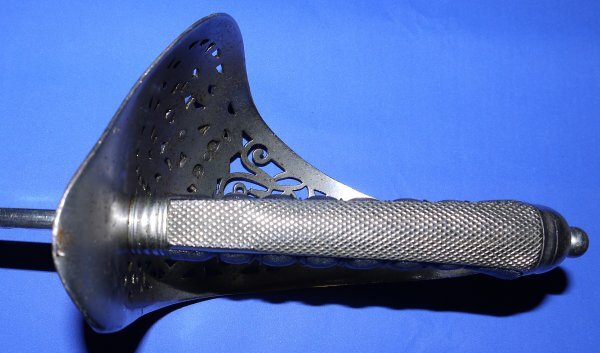 The hilt with some plating bubbles and rust spots. The fishskin grip in good condition; the twisted grip wire has some losses. The leather field service scabbard is very worn and aged, has a kink in it, but is sound. The sword sheathes and draws well enough, if a little tightly. Rare sword, named officer, plenty of research potential. All yours for £425. Please quote item reference AD97. Further / full sized images available upon request. Box 0628-1m (1.791).